Tert-Butyl 1-Oxa-6-azaspiro[2.5]octane-6-carboxylate is spiro compound. 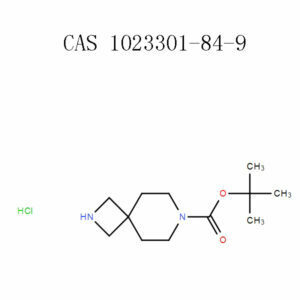 Spiro compound has as protein kinase inhibitors, including as c – Met the activity of tyrosine kinase inhibitors and the like, and can be used for the treatment of these kinase of diseases caused by abnormal activity, such as cancer, or for the preparation of a medicament for treating these diseases. Its Chemical describption is 1-oxa-6-aza-spiro-[2.5]octane-6-caboxylic acid tert-butyl ester, tert-Butyl 1-oxa-6-azaspiro[2.5]octane-6-carboxylate, 6-aza -6-tert-butyloxycarbonyl-1-oxaspiro<2.5>octane, 1-oxa-6-aza-spiro[2,5]octane-6-carboxylic acid tert-butyl ester, 1-oxa-6-aza-spiro[ 2.5]octane-6-carboxylic acid tert-butyl ester, 1,1-dimethylethyl 1-oxa-6-azaspiro[2.5 ]octane-6-carboxylate, 1,1-dimethylethyl 1-oxa-6-azaspiro[2.5]octane -6-carboxylate. It is used as a pharmaceutical intermediate. It is also used as an intermediate in organic syntheses. This product(s) resides on a APICMO contract. If you are viewing this page as a non-registered user, the price(s) displayed is List Price. To view your pricing, log in using your account number, or become a registered user by contacting one of our Customer Service teams. To place an order, contact APICMO Customer Service . IF INHALED: Remove to fresh air and keep comfortable for breathing. Store locked up. We manufacture and synthesize Tert-butyl 1-oxa-6-azaspiro[2.5]octane-6-carboxylate both in bulk and in large quantities. At APICMO, all our products comply with cGMP quality control regulations. If you want to buy large or small quantities of this product, then you are at the right place. Just place an order by contacting our welcoming and professional customer care executives. If you’d like to get more information about the product, just continue reading on. Tert-butyl 1-oxa-6-azaspiro[2.5]octane-6-carboxylate falls into the category of spiro compounds. Studies show that it can act as an inhibitor of kinases, such as tyrosine. Subsequently, it has led to the drug discovery on the treatment and control of kinase-associated abnormalities, which trigger cancer progression. Despite being a pharmaceutical intermediate, the product is also an intermediate in organic synthesis. The equipment should be consistentwith the state’s directives, such as the European Union (EU) regulations for the European nation or NIOSH for the United States. Ensure maximum protection of the body, eyes, face, respiratory tract, and the skin. Use either type N95 or type P1 masks depending on the local regulations. Ensure your working space has enough exhaust ventilation and safety showers. Cautiously rinse the eyes with cold running water for the next 15 minutes. Get medical assistance if irritation continues. Wash with copious amounts of water and soap for 15 minutes. First aid is applicable only when the casualty is conscious. Flush the mouth thoroughly and drink at least half a liter of water or milk. When the victim is unconscious, get immediate help from a poison center, a toxicologist, or a physician. Move the victim to a ventilated room while maintaining a relaxed position. Administer artificial respiration when the victim is unconscious and get immediate help from a doctor. Put on self-contained breathing gears to avoid contact with potentially toxic fumes and vapors, arising from decomposition. Put out the flame with water spray, dry chemical powder, alcohol-resistant foam, or carbon dioxide. The extinguishing media will depend on the intensity of the fire and the causative agent. Contain any leakages or spillages. Scoop the spill or use an inert absorbent like sand to soak up the chemical. Discard in a closed container and dispose of as per the region’s disposal regulations.Clean the working bench and ventilate it. The product is stable under standard controlled conditions. 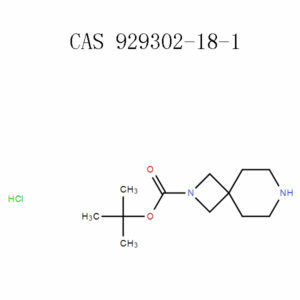 Treat Tert-butyl 1-oxa-6-azaspiro[2.5]octane-6-carboxylate as special waste and get rid of it with the help of a licensed local disposal company. 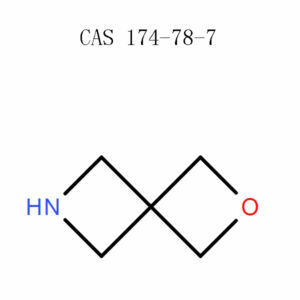 Tert-butyl 1-oxa-6-azaspiro[2.5]octane-6-carboxylate (147804-30-6) is non-hazardous for air, ground, or marine shipping.The transport conditions should be standard. 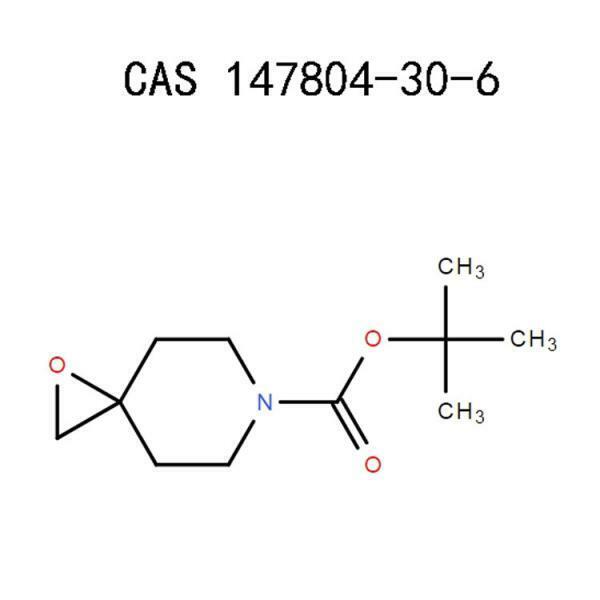 Tert-butyl 1-oxa-6-azaspiro[2.5]octane-6-carboxylate (147804-30-6) has no special precautions or hazards to the ecology, human health, or the environment.The product has no known components, which are persistent or bioaccumulative.For this reason, it has been classified as neither dangerous nor hazardous. The information herein conforms to the international requirements. Our scientists have practical knowledge in material and life sciences, analytical chemistry, chromatography, chemical synthesis, and scientific research. Interested in research, development, and syntheses of chemicals? Order large quantities of Tert-butyl 1-oxa-6-azaspiro[2.5]octane-6-carboxylate from us and get the quotation. Contact us to place an order. National Centre For Biotechnology Information, US. National Library of Medicine, Pubchem,Tert-butyl 1-oxa-6-azaspiro[2.5]octane-6-carboxylate , Sections 1-10. Nafizal Hossaina Svetl Ivano Jonas Bergarea Tomas Eriksson, Spirocyclic compounds, potent CCR1 antagonists, Bioorganic & Medicinal Chemistry Letters Volume 23, Issue 6, 15 March 2013, Pages 1883-1886. Ali Nasrallah Gwendal Grelier Maria Ivana Lapuh Fernando J. Duran Benjamin Darses Philippe Dauban, Dirhodium(II)‐Mediated Alkene Epoxidation with Iodine(III) Oxidants, page 12-14.